Show your school colors! Minimum order 20 shirts. Call for color availability. 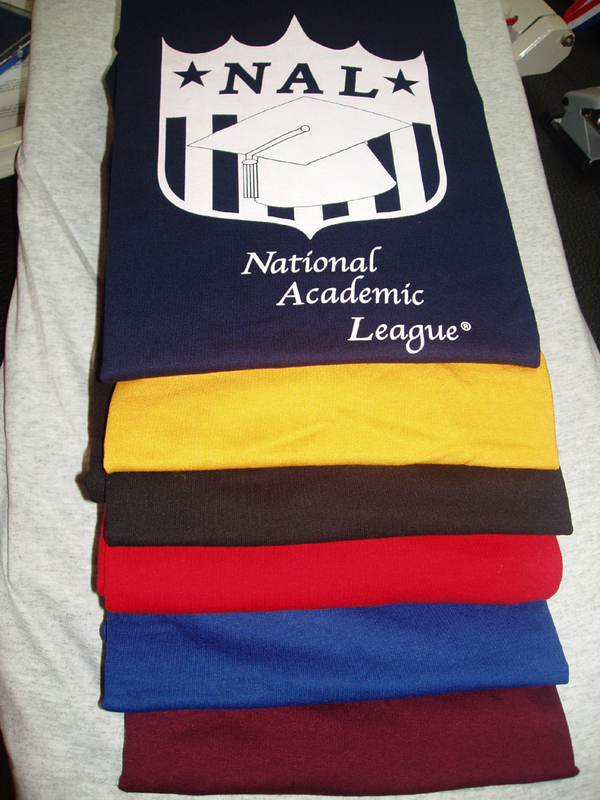 Orders of 50+ Shirts, please email office@nationalacademicleague.org for lower price. Adult sizes 2XL and 3XL add $2.25.